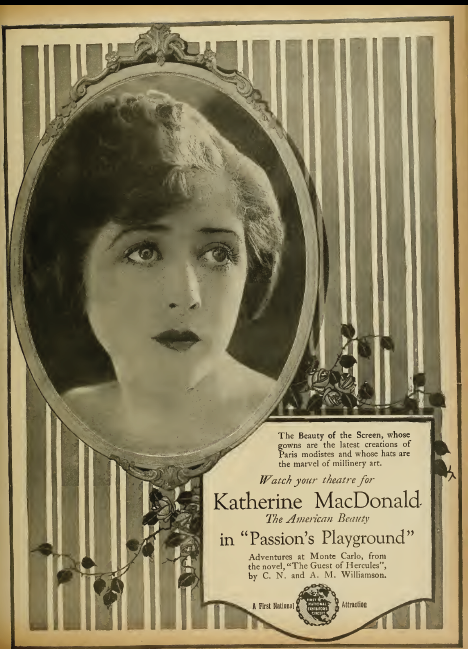 A 1920 silent film produced by Katherine MacDonald Productions, distributed by First National Exhibitors and adapted from a novel and written for the screen by Charles and Alice Williamson. This movie at the box office made $1 million. With a story, star and production that bid fair to set the pace for screen attractions for months. he background for this film was Monte Carlo the playground of the rich and famous where nobility and the like gather in Casino’s to try their luck. Mary Grant an orphan who has the blood of her gambler-father in her veins leaves an Italian Convent for Monte Carlo where she tries her luck and ends of breaking the bank. Mary was young and unworldly became famous because of her newly found fortune found that type of money attracted the wrong sort of people. One of those persons was a man named Lord Dauntrey and several others were plotting to try and steal her money. Mary found that money doesn’t guarantee you friends or entry with the rich and famous. 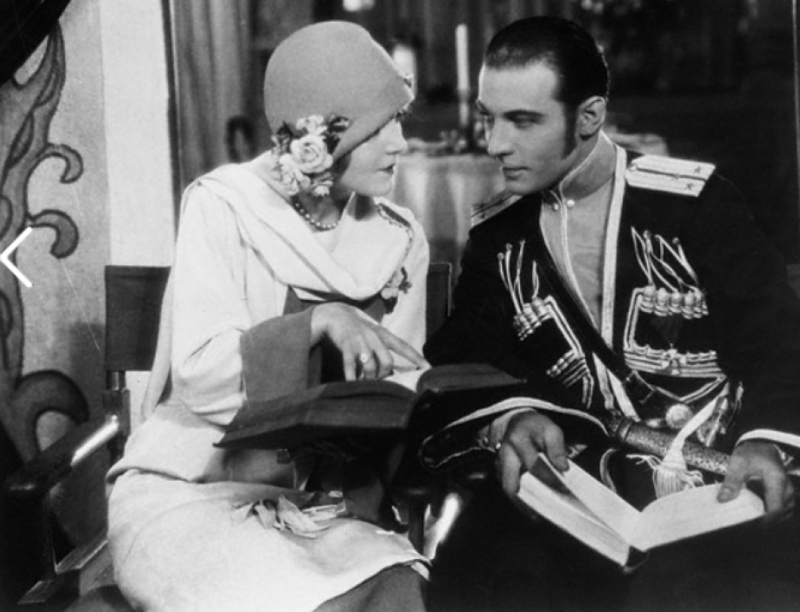 One of the rich who did not find immediate favor with her was the sophisticated Prince Angelo Della Robbia (Rudolph Valentino). The Prince seemed to always be around when Mary needed rescuing from the unscrupulous. Eventually, Mary ends up under the protection of the Prince who fell in love. But that did not stop those from trying to ensure that the Prince and Mary did not end up together. The wife of his brother Prince Vanno Della Robbia (Norm Kerry) visits her and finds out that a former student from the same convent several years earlier had eloped with a man who then deserted her. When a former sweetheart of her husband accuses her of the deed, she places the blame on Mary. Mary flees to an old chateau located in the mountains where she is drugged by Lord Dauntrey and his men who were plotting to steal her money. The Prince, after learning the truth of the matter, comes to her rescue, and a happy ending. Katherine MacDonald in the role of the beautiful but tragic heroine with Rudolph Valentino in his supporting role of the hero Prince a picture that will make you gasp at its splendor, its intrigues and it’s romance.